​Liverpool fans can get a glimpse of the new red home shirt the likes of Mohamed Salah, Virgil van Dijk and Sadio Mane might be wearing next season after images of the expected New Balance jersey have been shared online this week. With rumours of advanced negotiations over a British record deal with Nike, the 2019/20 season stands to be the last in the Reds' current partnership with New Balance. But the Boston-based company looks like it might go out with a bang if leaked images are anything to go by. Images published by Footy Headlines appear to show a return to a brighter and more vibrant shade of red than those seen in the last couple of years. The new shirt also seems set to ditch this season's collared look and adds subtle detail with white pinstripes. The club badge, NB logo and Western Union sleeve sponsor will be coloured in traditional complementary yellow, with the primary Standard Chartered branding in bright white. The only question is, will the right sleeve be adorned by normal a Premier League badge or a gold one reserved for the champions? 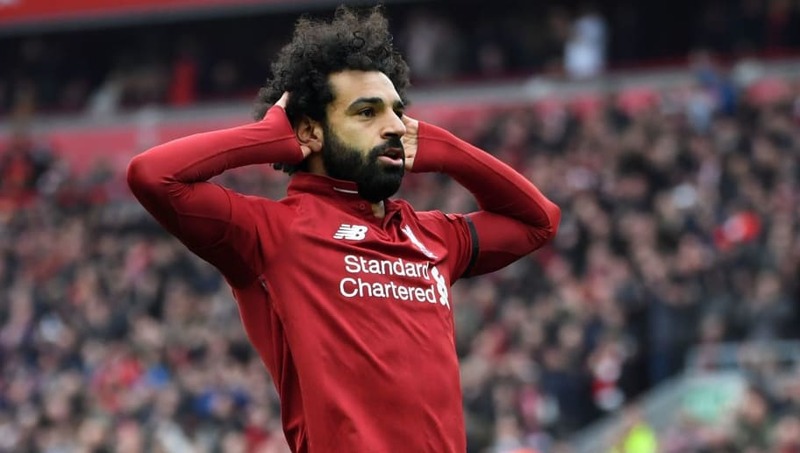 Liverpool finished the weekend at the top of the table after beating Chelsea 2-0 at Anfield on Sunday, a game many saw as the Reds' most difficult remaining fixture. Further wins against Cardiff, Huddersfield, Newcastle and Wolves in their final four games could now see a first English league title arrive at Anfield in 29 years. But Liverpool must still rely on Manchester City, who still have a game in hand, dropping points as well.